"I didn't really know what I wanted to do, but I knew the woman I wanted to become." I feel like that every day. Or maybe more like, I don't know how to choose between all of the things I want to do, but I know the woman I want to become. Do I have to choose? Jane Krakowski is a dream on NBC's 30 Rock, but this amazing Versace dress is no slouch, either. The navy blue frock, which she wore to the 2008 Emmys, looked subdued from the front -- and then she turned around. Wow. I'm getting married in less than a month! 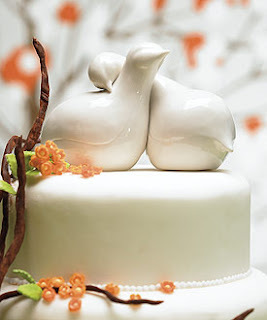 While I'm not big on themes for weddings -- I was under the impression that "wedding" was a theme in and of itself -- I did decide early on that I wanted to use birds as an integral part of our decorating scheme. We are having key lime cupcakes, so ours will rest on top of the cupcake stand. I do love Ann Wood's birds, but the porcelain ones match our home design aesthetic better and we will be able to display them elsewhere after the wedding. 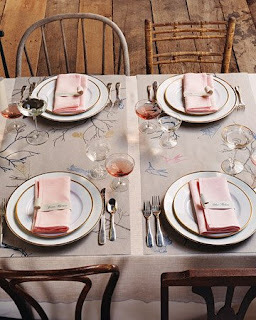 Our table settings will look very similar to this. Ivory tablecloths, ivory china with gold rims, gold knives and forks, and double paper placemats on which I will stamp and pencil woodsy avian designs. The tables will further be decorated with votive candles and fresh dahlias arranged in blue Ball jars. 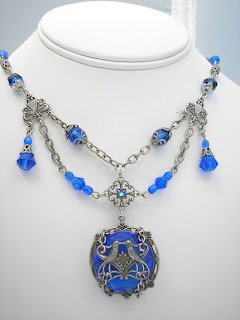 My dress is rather simple, so I wanted a dramatic necklace to set it off. I had this piece custom made by Morning Glory Designs on Etsy. The blue matches my beautiful sapphire engagement ring! My ladies will be gifted with garnet jewelry with delicate bird designs. 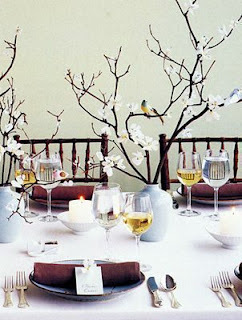 Inspired by this photo, I plan on having a mini tree (really just a nicely shaped branch) on our dessert table hung with lots of origami birds. 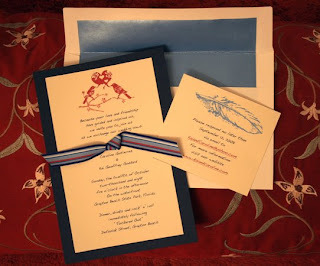 I even found paper in our wedding colors: garnet with various shades of blue. 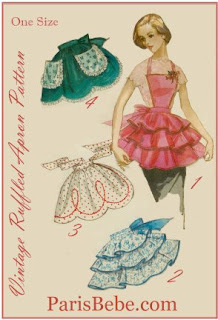 I'll have tons of extras, so I will place one on each plate and make a garland with others. I will probably have our flower children carry birds nests filled with petals. A lovely way for two lovebirds to start their life together! I think it's so cool that they are still doing this. When I was a little girl I remember seeing Debbie Harry doing "One Way or Another" and chasing the double-headed monster around a table. I think about 15 years ago Melissa Etheridge performed "The Way I Do" but changed it to "The Letter U." Image copyright Bloom Creatives 2008; All Rights Reserved. I took this photo at the house next door to my parents', on the Choctawhatchee Bay in Santa Rosa Beach, Florida. 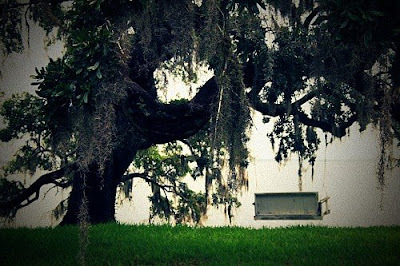 That tree is amazing -- the branches hang low, begging to be climbed, and it is positively dripping with Spanish moss. I believe it is a magnolia tree, but I've never visited in the spring to see it bloom. The swing has been there for as long as I've been coming, at least five years, but in person looks like it has been hanging for much, much longer. In the photo this scene looks so inviting; you want to sit on that swing sipping a mint julep, enjoying the shade of the tree and the breeze off the water, watching sight of the occasional porpoise swimming past. In reality the swing would rot out from under you if you so much as looked at it the wrong way, and your mint julep would be overcome with opportunistic mosquitoes in a matter of seconds. There are porpoises, though. The dogs have no idea what to make of them, and run up and down the dock trying to figure it out. There are a lot of beautiful things in this world. 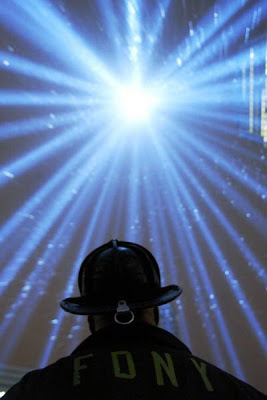 Sometimes your imagination creates the most beautiful of all. I live in one of the sunniest places in the US - Phoenix, Arizona. It seems crazy that solar energy is not utilized more in a place like this, but we're getting there. Until the day our grid is powered by sunlight and wind, we can each capture a little bit of the sun to light our nights with these neat little sun jars. Let the jar sit outside in a sunny spot all day. A little solar panel inside stores the sun's energy and powers an LED light. 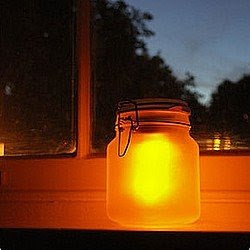 The frosted glass diffused the light and the jar emits a warm glow. At $44 each, I don't think I'll be lining my driveway with these, but one or two would be lovely on an outdoor dinner table. 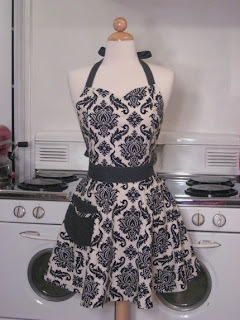 I love to cook, and I love wearing cute things, so it seems rather obv that I would love a cute apron, no? And yet I do not own one! This is shocking, considering the wealth of adorable pieces I've seen lately. 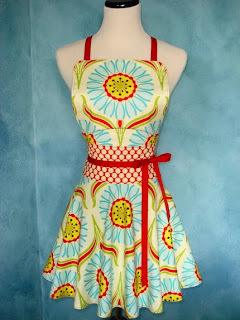 I love the idea of wearing one of these while prepping a dinner party or holiday meal, while the guests and family all gather in the kitchen to socialize.